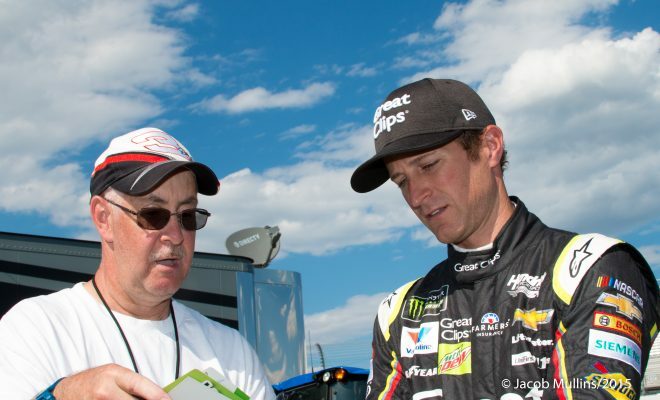 Mullins: Did Sunday’s Win Save Kasey Kahne’s Job at Hendrick? We all know that Kasey Kahne won the Brickyard 400 at Indianapolis Motor Speedway. It was his 18th win in NASCAR’s premier series and his first checkered flag in 102 races. But did Sunday’s win at the famed 2.5-mile track in Indiana save the driver of No. 5’s job? That answer is more complicated that you may think. Hours before the green flag waved from the officials stand, Kahne’s boss, Rick Hendrick, opened up about the future of Kahne and the No. 5 car. Unfortunately, it takes sponsorship and money to run a team. Earlier this season, Great Clips, one of Kahne’s sponsors, decided to exercise an option to end the two-year extension they signed in 2016 after this season. This news came on the heels that Farmers Insurance, the anchor sponsor of the No.5 team, decided not to renew their 12-race contact for next season. So where does that leave Kahne in 2018? Before his win Sunday, Kahne has been rumored to leave HMS for other rides in 2018, but at this time they are just that, rumors. Let’s allow the process to play out and see where Kahne will land next year. One thing is for sure, Kahne will be one of the 16 drivers that will vie for the 2017 Monster Energy NASCAR Cup Series championship as he locked himself into the playoffs with his win. Could his first NASCAR title keep him in the No. 5 ride? Once again, time will tell. Kahne heads to Pocono Raceway this weekend, where he has scored a pair of victories in 2008 and 2013 with Gillett Everham Motorsports and Hendrick Motorsports, respectively. Looking to prove that his win last weekend wasn’t a fluke, Kahne is looking for win No. 3 at the trick triangle. When Kasey joined HMS, I was excited for a couple of reasons. One, that being at HMS would help his Restarts-he Constantly loses spots on them. Oddly enough, his last few wins have been due to Excellent Restarts. But Kahne has also given away many wins in career on Restarts-as well as positions. 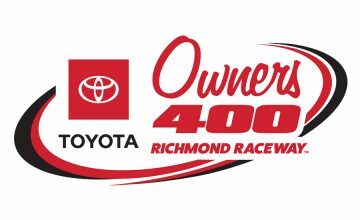 Secondly, i was hoping that HMS would help with Race Strategy-Especially w/ Kenny Francis as Crew Chief-But with Francis and Rodden-they seem to be Allergic to Race Strategy-be it fuel, tires, etc. Bottom Line- Does Kasey deserve some blame for poor showings? Yes, he doesn’t seem aggressive enough when needed. BUT, i would expect a Team Owner to recognize these issues-and try to help correct them! ESPECIALLY a Quality Team like HMS! Last year was just a disaster…period. 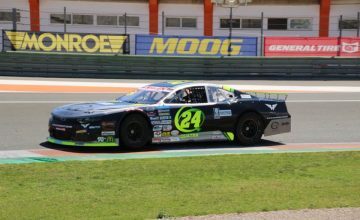 This year has been up and down with a bunch of wrecks again and sometimes just a slow car(qualifying in the 20’s several times). Recently I have seen some flashes of the Kahne I’ve been pulling for, for the last 12 years and Finally at Indy he showed that when given a fast car and the right opportunity, he still has the ability and desire to Win Races. Congratulation my friend, I am so happy for you, and I hope you win a couple of more this year…cause that will keep the 5 ride for you for sure. Spencer and Brian – I agree with both of your comments. Kahne has been strong in the past, but it seems like the last two years he wasn’t given everything that HMS has to offer. He is still a great wheelman and he showed us that he can still win. I want to see him in the No. 5 next year. Kasey is a great driver, but no matter how he runs the rest of this season he will be gone after 2018 with William Byron moving into the 5. I’d rather see Kasey leave now while there are still some good rides open (the 10, 27, 41, and 77) and hopefully land one of those so he can be around in a quality ride for another 5 or 6 years. I think that we will see something similar to what happened to Ryan Newman after winning the Brickyard and he will be let go, maybe with Kenseth running 1 year in the 5. I could be completely wrong, but that’s what I see happening. Just had another thought on the kenseth deal, Ross is doing good in lower divisions. So if Hendrick signed Matt for a year, he’d have a better shot at getting Ross as a development driver. Kasey is an excellent driver. If he was given the type of equipment that the 48 is given, he would win more races. I’ve been a fan of his since the first time I saw him race. He still has what it takes to win. I see him going to victory lane a couple more times this year. If HMS has any smarts about them, they’ll put Kasey back in that car next year. Congratulations Kasey!!!!! Keep on winning.